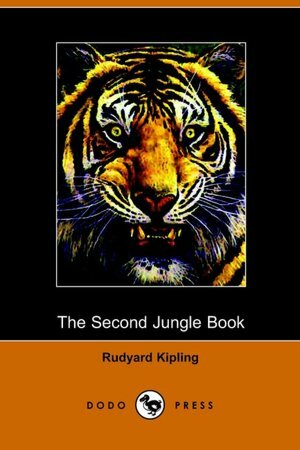 For those not familiar, Kipling’s 2 Jungle Books are fantastic, each a collection of short stories, many of which involve the familiar Mowgli and his animal friends – Baloo, Kaa, Akela, Hathi, Bagheera, and others – surviving in the jungle wilds, and exposed to all sorts of dangers. These tales are interspersed with other stories unrelated to Mowgli and the jungle but just as harrowing and exciting. Stories like “The Undertakers,” an amusing exchange between those who put the survival of the fittest and its amoral realities to the grim test, and one of my personal favorites, “Quiquern,” a story of Inuit life, their dog sleds and their desperate measures to survive harsh winters. Though I enjoyed them all, “The King’s Ankus,” an account of what lengths men go to satisfy their greed, is particularly riveting. All these stories will transport you from the comforts of your reading room to an environment other worldly in its hazards and customs. “Be it so, then,” said Kaa. The last story “The Spring Running” finishes the character arch of Mowgli as he realizes he has learned all he can from the jungle, has become a man, and ultimately acknowledges, though not without sorrow, that he must finally go live among the “Man-Pack”. Not quite as poignant as, say, when Travis shoots his beloved dog, now infected with rabies, in Old Yeller, or the last line by Samwise Gamgee which closes an entire trilogy, “He drew a deep breath. ‘Well, I’m back,’ he said.” but still lump-in-your-throat inducing. The stories, prefaced with clever poems, propelled by high jinx and chases, full of drama and mayhem, are made classic by Kipling’s profundity, wisdom, and humanity. Highly recommended for all ages.